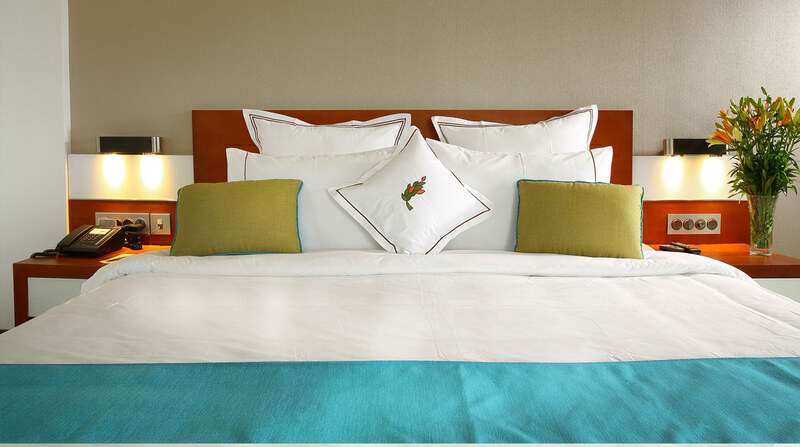 Accommodations are categorized into deluxe rooms/ super deluxe rooms and executive suites beside a presidential suite. An elegant design theme inspired the colors of nature runs consistently through the entire range. Gorgeous décor- plush beds with thick quilts piled with soft pillows, slate grey headboards, sofas, colorful cushions strewn around, slate grey headboards, ceiling to floor glass windows, balconies with splendid views and cane chairs to lounge in,besides being equipped with the state of the art in amenities.The suites offer stunning views of the landscape outside and contain extensively equipped work areas as well exquisitely furnished living areas.